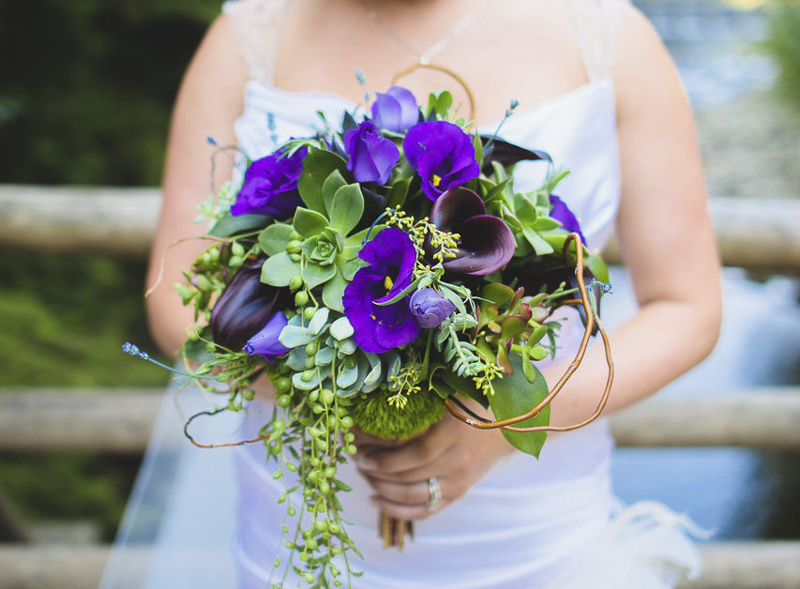 On August 23rd, West Van Florist had the pleasure of working with an incredibly creative bride, Kristin. Kristen was a senior wedding coordinator for Lonsdale Party Rentals, where she was involved in creating many weddings for her numerous clients. So when it came to her own special day, Kristin had a very clear vision of what she wanted. 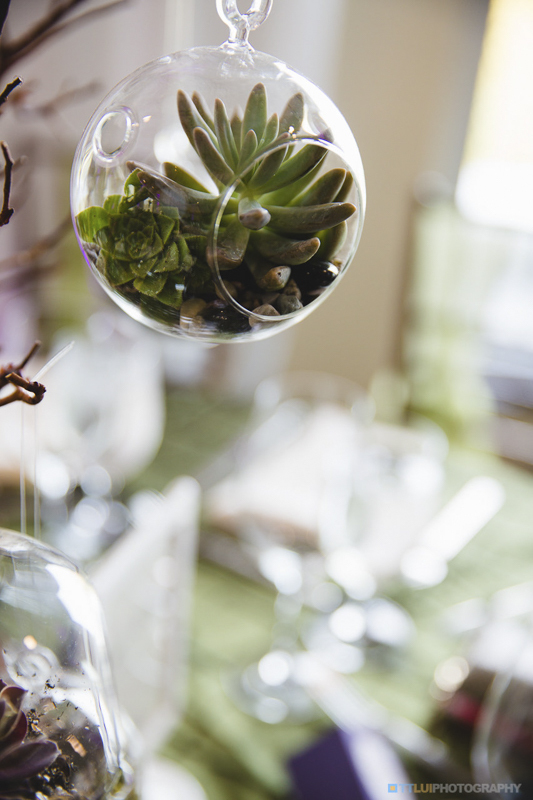 The key element to Kristin's wedding was succulents. 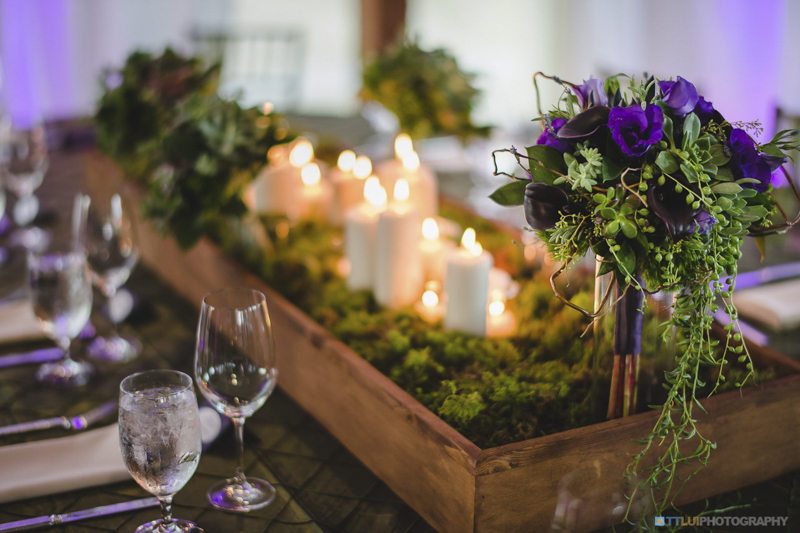 They were combined with curly willow and soft textural floral flowers in shades of green, deep purple and burgundy. She wanted her wedding flowers to be bold, unique and something none of her guests had experienced before. Her bridal bouquet: This was designed with mixed deep lush purple lisianthus, New Zealand Calla lilies, Lavender and curly willow, unique succulents, these included String of Pearls, Echeveria, Sempervivum and Graptopetalum. The bridesmaids bouquets: These bouquets were created with succulents, lavender and unique mixed greenery. The flower girl bouquets: These unique wicker ball designs, were so fun and creative, yet practical, as they were light weight and easy to carry, The balls were layered with succulents, curly willow and moss. with beautiful deep purple ribbon. 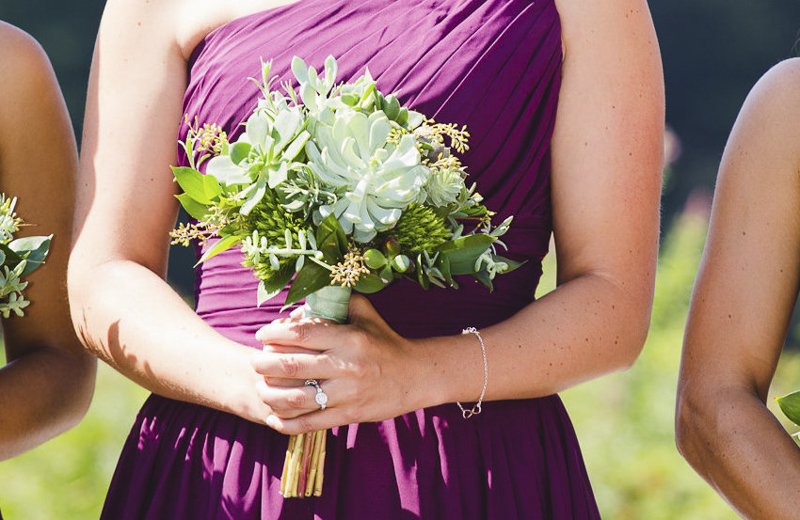 The Boutonnieres and Corsages: The Boutonnieres were created with mini succulents, lavender, curly willow and moss. The Wrist Corsages were similar to the boutonnieres, however we added freesia for scent. 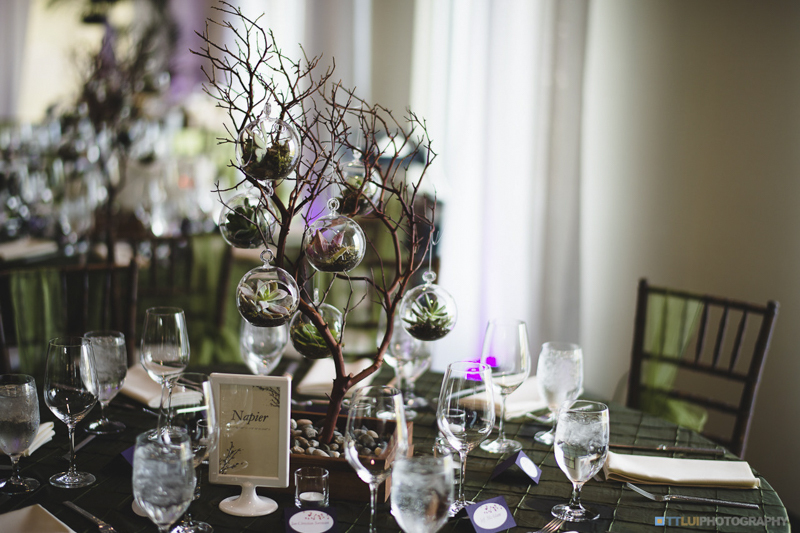 The Reception: For the reception Kristin followed the same theme, creating trees filled with mini succulent terrariums, which were given away as gifts to all her guests at the end of the evening. Listing to a brides vision and giving them the confidence that you can create exactly what they want is an integral part of a successful wedding, and we truly believe we more than succeeded. Come for a complementary consultation and let us create your unique wedding.